GREEN HOME AND ENERGY STAR HOME. 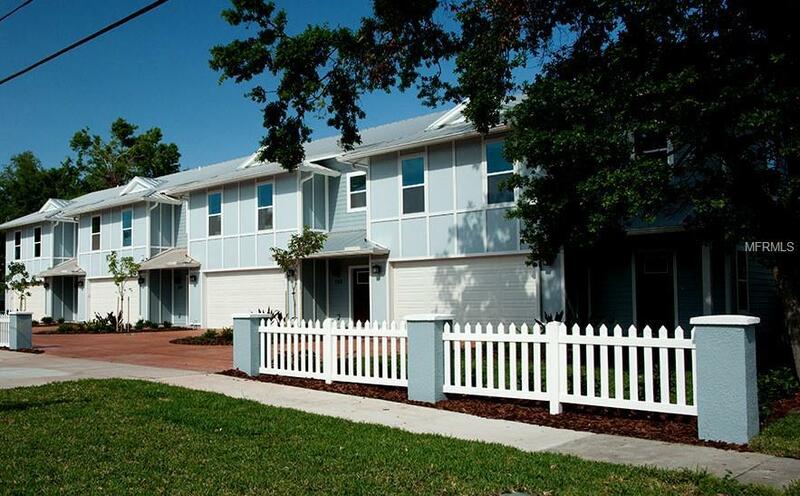 Highly efficient new town-homes Near downtown Clearwater and 5 minutes to Clearwater Beach.The town-home was build with SIP (structural Insulated Panels) which gives a home that is moisture resistant. extremely energy efficient, rot proof, hypoallergenic and will keep you comfortable and virtually maintenance free.The home feature a large open concept living space with solid wood shaker cabinets, solid surface counter tops, Energy Star stainless steel appliances with a large deck from the living area to a very spacious backyard. Recessed LED can lights and half bath for your guests. The second floor boast a large master suite his and hers walk in closet, dual sink with walk-in shower with glass enclosure, laundry room 2 good size bedrooms and a bonus room that could be an office, computer or family room.